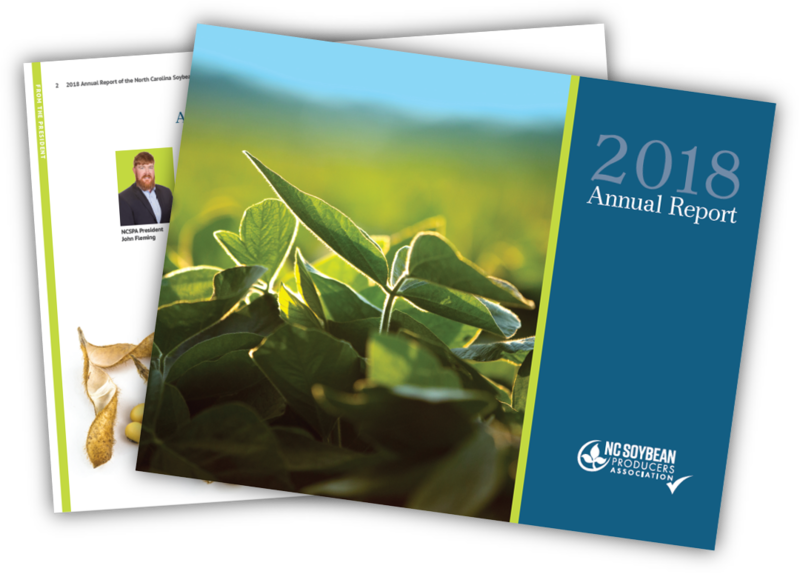 The North Carolina Soybean Producers Association creates an annual report each year which gives the membership a recap of the key activities and accomplishments of the NCSPA. You can download past issues below and printed copies are available by request – please contact us. 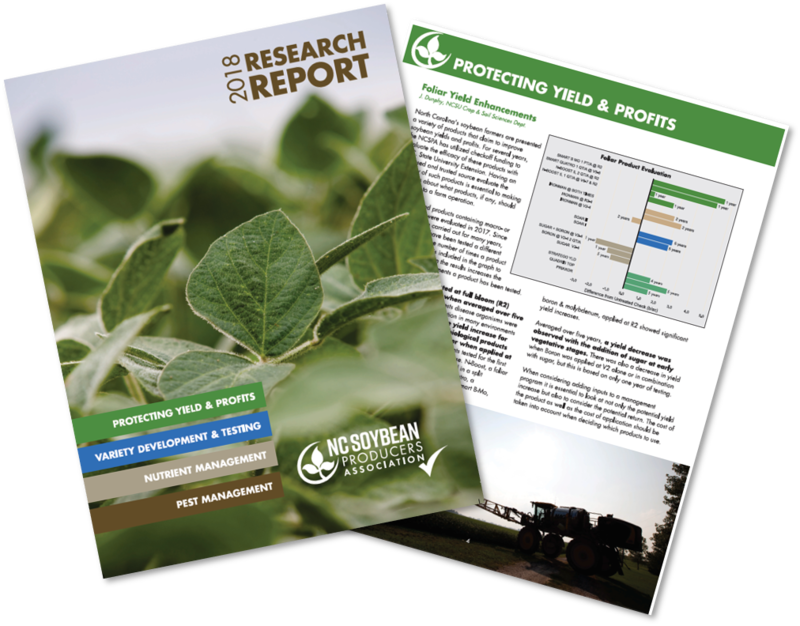 2018 Annual Report– The 2017 Annual Report, published in January 2018, is the most recent report on major programs and investments of North Carolina soybean farmers and their checkoff. Investing in production research that enables North Carolina soybean farmers to successfully fight plant disease and pests, understand chemical and plant treatment efficacy in North Carolina conditions, understand current best farm management practices, and ultimately improve yields, is the highest priority of the North Carolina Soybean Producers Association. The association publishes an annual Research Report that highlights the checkoff-funded investments it makes in research each year.